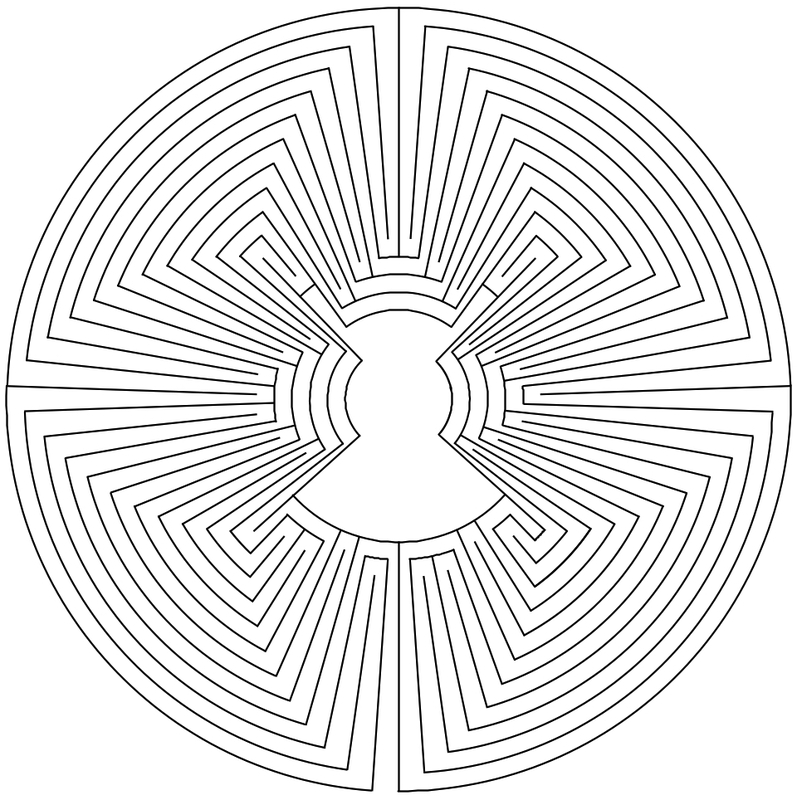 Using the example of the Chartres type labyrinth it could be shown that also labyrinths with multiple arms can be designed in the MiM-style (see related posts 1, below). Generally, all labyrinths with four arms and 11 circuits require in the MiM-style an auxiliary figure with 90 spokes (see related posts 2). 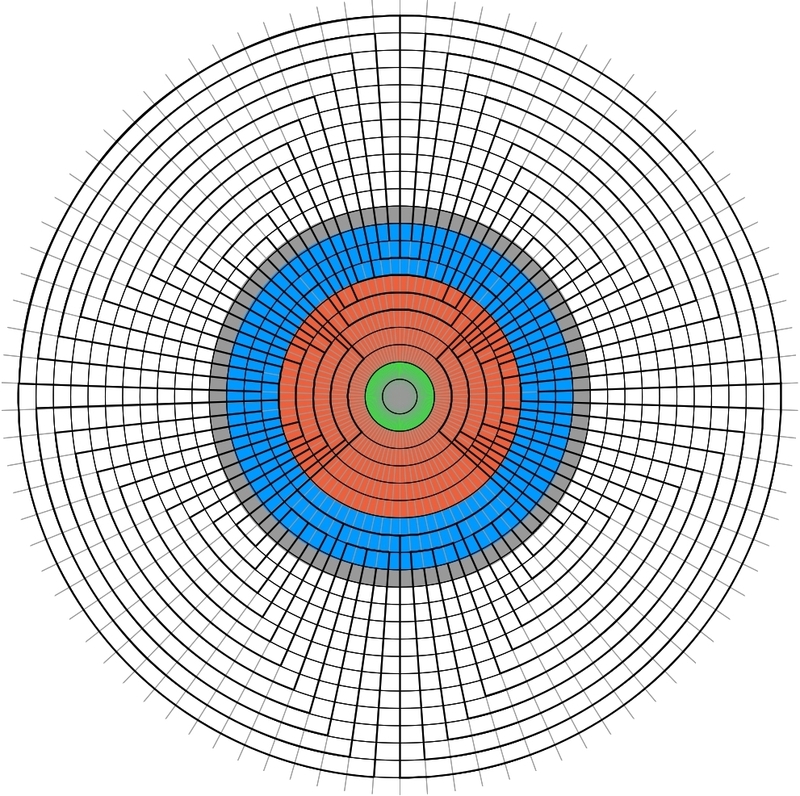 This is determined by the number of arms and of circuits. The number of rings for the Chartres type labyrinth amounts to 22. This number can vary for different types of labyrinths with four arms and 11 circuits. This number depends on the number of circuits, the depth of nestings of the turning points of the path (see related posts 5) and the number of pieces of the pathway traversing the axes. This is explained more in detail in fig. 1. For the outer walls delimiting the pathway of the 11 circuits (white), 11 rings are needed. One more ring is used for the center (grey). (This space could also have been saved. My first draft of this labyrinth for the New Year did not contain a separate ring for the center yet – see related posts 3 -. However, in such a case no space would be provided for the center. Therefore in the final design I have added a separate ring for the center). There are turns of the pathway with a maximum depth of two nested turns at the main axis. For this, three rings are required (blue). The side-arms all have only single turns of the pathway. So for them, tow rings would be sufficient. For the pieces of the pathway traversing the side-arms, an additional five rings are needed (red). In order to ensure that sufficient space is left for the pathway at the narrowest point between two walls delimiting the path, two rings in the center of the figure are added that are not even used for the lines of the labyrinth. These just serve to enlarge the center (green) such, that the figure can be reasonably drawn at all. Thus, for all this together, 22 rings are needed. In order to transform a labyrinth with four arms and 11 circuits into the MiM-style, a considerable effort is required. To draw the figure with sufficient exactness, compass and ruler or a drawing application will be needed. Now once we have designed the figure for the Chartres type labyrinth, we can easily bring certain other types of labyrinths into the MiM-style. Such types must have four arms, 11 circuits, 5 (and less) pieces of the pathway traversing the axes, as well as two (and less) nested turns of the pathway. This is true, among others, for the two other very interesting historical types of labyrinths, the Reims type and the Auxerre type (related posts 4). In order to transform these into the MiM-style, we can start from Chartres type in the MiM-style. All the lines delimiting the pathway on all spokes and auxiliary circles outside the seed pattern can be left unchanged. Only the sed patterns have to be amended at certain places and the connections to the walls delimiting the pathway have to be adjusted correspondingly. Fig. 2 shows the Reims type in the MiM-style. 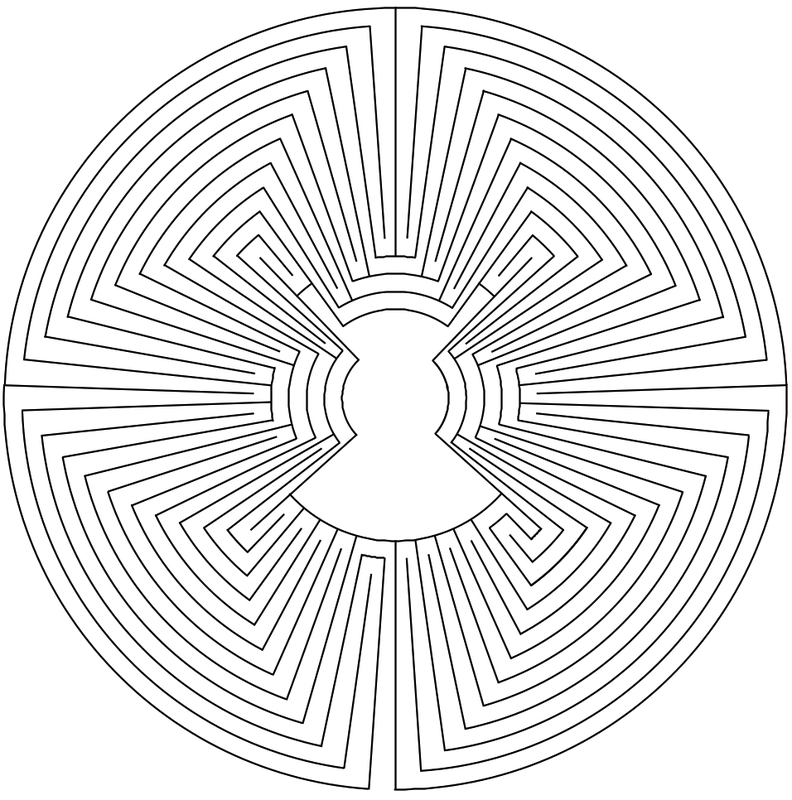 The seed pattern of the main axis has two nested turns only in two places next to the entrance and next to the center of the labyrinth. Otherwise there are only single turns of the pathway at the main axis. There are five pieces of the pathway traversing the first and the third side-arm, and three traversing the second side-arm, just the same as in the Chartres type labyrinth. However, the pieces traversing the first and third side-arme are distributed differently over the side-arms than in the Chartres type labyrinth. In fig. 3 the Auxerre type in the MiM-style is depicted. The seed pattern of the main axis of this type is somewhat different from that of the Chartres type. The seed patterns of the side arms and thus the pieces of the path traversing the side-arms are the same as in the Chartres type. Other types of labyrinths can be transformed into the MiM-style in the same way too, e.g. the complementary of Reims. These will all be based on an auxiliary figure with 90 spokes and 22 rings. However, in other types of labyrinths with 4 arms and 11 circuits, this does not work that easy. So, for instance, the complementaries of Auxerre or Chartres on the main axis have also three nested turns of the pathway. Therefore, for the seed patterns of these types of labyrinths, four (blue) rings are needed. The auxiliary figure for these labyrinths has 23 rings. Thus, the center and all eleven circuits would have to be shifted one ring further outwards. In order to draw these labyrinths, again the seed patterns would have to be amended, and the connections appropriately adapted. In addition each piece of a wall delimiting the pathway outside the center would have to be shifted and modified. I refrain form drawing these types of labyrinths in the MiM-style. Already from the presently available figures it can be seen, that the style clearly dominates the look of the labyrinth and that a quite careful closer view is needed, if we want to identify the differences between these types in this style. 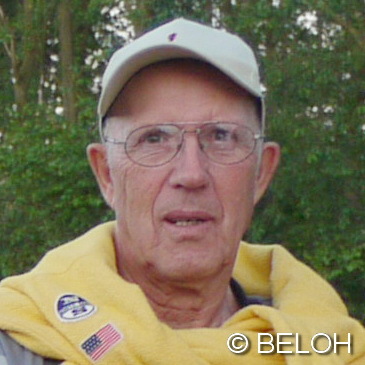 To get new posts by E-Mail please enter your E-Mail-address.